She may be mad, but she’s perfectly good it at it! 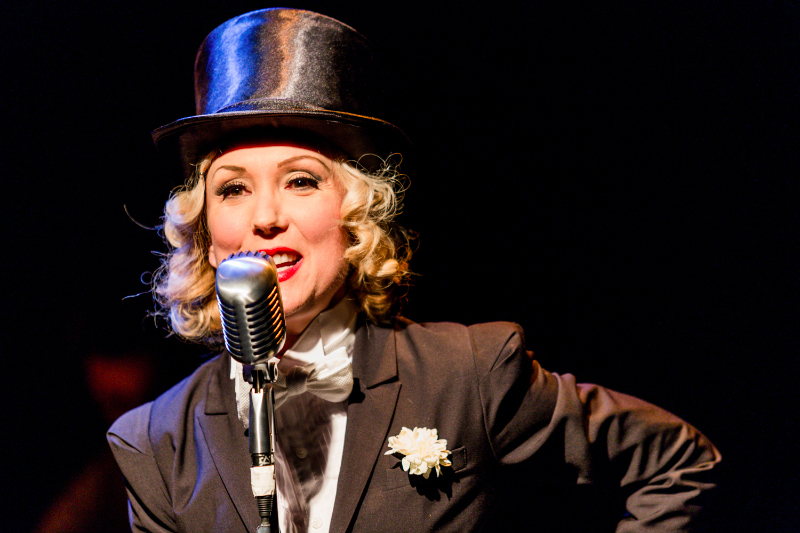 “Mad Jenny”, (AKA Jenny Lee Mitchell) brought her new show “Love und Greed” to New York City’s famous Dixon Place for an unforgettable “one night stand” of sorts on Wednesday, January 13th. 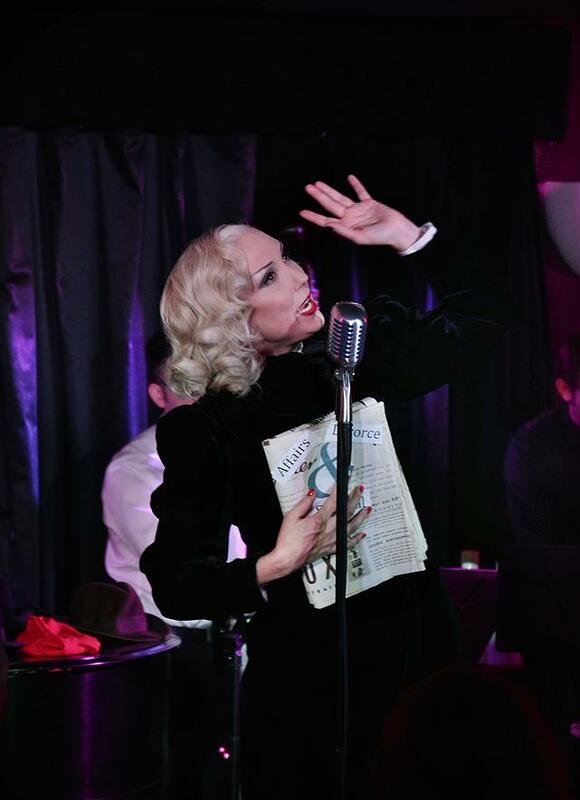 This truly one-of-a-kind evening offered an astonishing selection of songs from Deutschland’s underground cabaret scene from the Weimar era– sung by Jenny in English, German, and sometimes both. It’s no mystery why this multi-talented performer would have an affinity for the songs and stories from this time period: This was the epoch when cities like Berlin were notorious for their no-holes-barred nightlife, when sexual and artistic freedom was idealized. Sadly, as anyone who has studied history also knows, the Weimar era was followed by Adolph Hitler’s rise to power and subsequent repression of the artistic scene. Knowing that bit of dark history added something of a “forbidden fruit” vibe to the show. You can learn more about Mad Jenny at http://www.MadJenny.com.